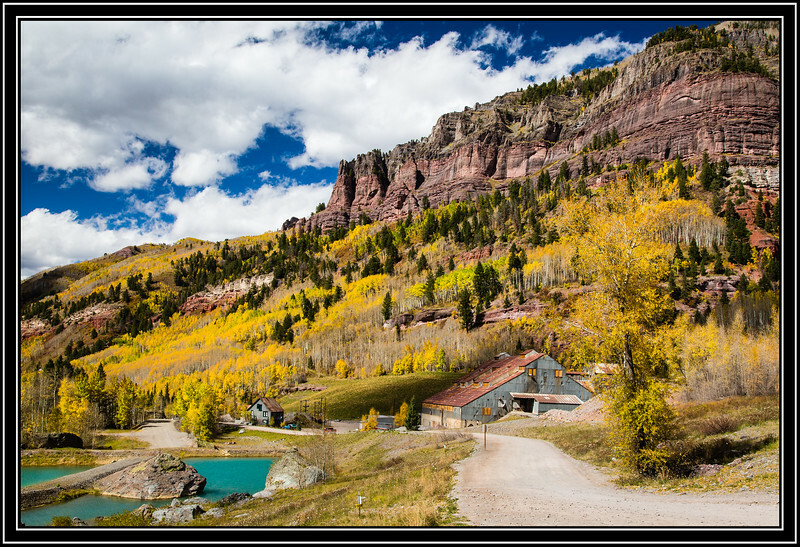 Telluride, CO - The Pandora Mine and mill played a significant role in Telluride history, from staking of the original mining claim in 1876, through the gold and silver boom, as well as the 1901-04 labor strikes. The Smuggler-Union closed in 1928, but reopened in 1936 under new ownership. The mine and its mill was one of the few gold operations in the country to stay open during World War II because it also produced lead and zinc. Idarado Mining Company bought the Smuggler-Union and most other mines in the region in 1953. Idarado, still the current owner, retrofitted Pandora Mill in 1955, tripling its capacity to 1800 tons per day, enabling San Miguel County to become Colorado’s leading county in the production of gold, silver, lead, and copper. The mine and Pandora Mill ceased operations in 1978. Link to Photo Without Frame Thank You for Making this Daily Photo the # 1 Pick on 02-22-2018. Very scenic! I didn't see that when in Telluride. Nice shot. Wonderful view, love the colors!